Combined medical plans – Some medical plans may include dental benefits for children only, or for the whole family. But the benefits provided with this combined plan may not offer the level of coverage expected. The deductible may be $500 or higher. Annual preventive dental care benefits for dental exams and professional cleanings may be paid for children only, leaving adults to pay out of pocket for their own dental care. 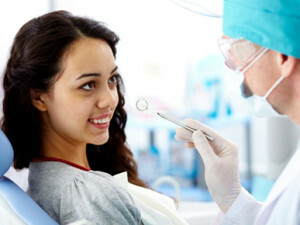 Fillings, crowns and other services may not be covered until the deductible for the plan is satisfied. This means you will be responsible for the total cost of dental procedures incurred until that point. Some plans may feature a limited number of participating dentists, so you may need to switch to a different dentist. Many combined plans do not provide cosmetic orthodontia for kids. Stand-alone dental – This insurance option is purchased separately from a medical plan and usually features more complete coverage and choices. Complete family coverage includes adults and children, with the option to add orthodontia. An extensive dental provider network is usually available to individuals and families across the country. Coverage choices may be customized to an employer group’s specific needs. Plan premiums are priced accurately so employers and employees avoid shocking increases, making it easier to plan and balance budgets. Claims and customer service are designed to support dental coverage. Pediatric dental coverage – Under the ACA, there are 10 Essential Health Benefit categories that must be offered by medical insurance carriers. One of these is pediatric dental coverage for dependents under age 19. Medical insurance companies may advise parents and caregivers that they must purchase pediatric dental coverage as part of their medical plan. However, in many states stand-alone dental insurance (providing complete family coverage) may be purchased separately from medical plans. Parents purchasing pediatric dental coverage will need their own dental plan to cover their oral health needs, including those of dependents age 19 and older. Learn more about how to evaluate dental coverage options by reviewing these eight tips.